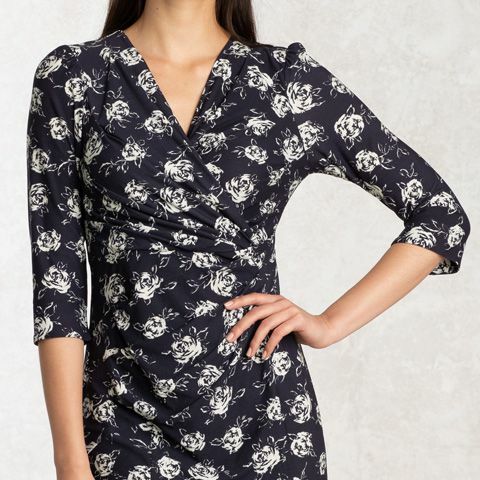 Soft, stretchy and fully machine washable, our feminine waist-gathered dress in navy rose print combines elegance and practicality. Partner with jackets and cardigans for a variety of looks for different occasions. 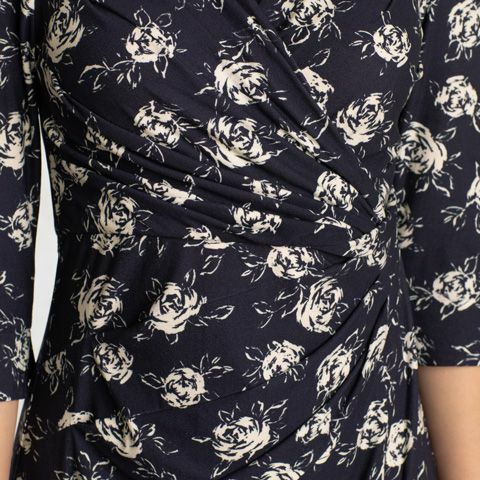 Made from our specially selected fabrics, this dress is just as soft and comfortable as you can expect from all kay me items. 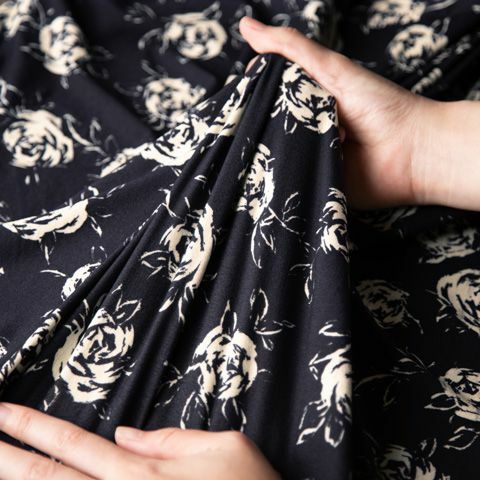 Specially designed to create an effortless and stylish figure, discover the beauty of our handmade waist-gathered dress. 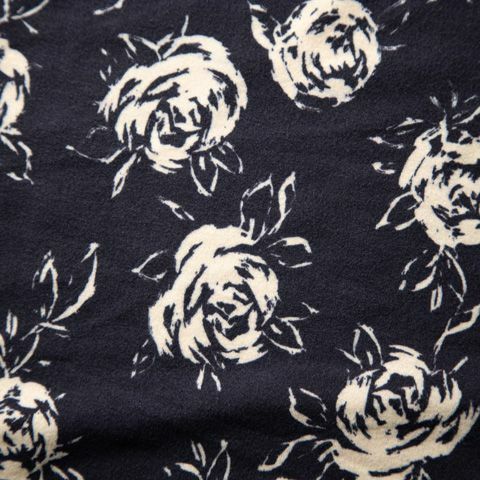 Inspired by old England, our original rose print brings a touch of romance to your day.